This entry was posted on April 17, 2011 by Russell Smith. 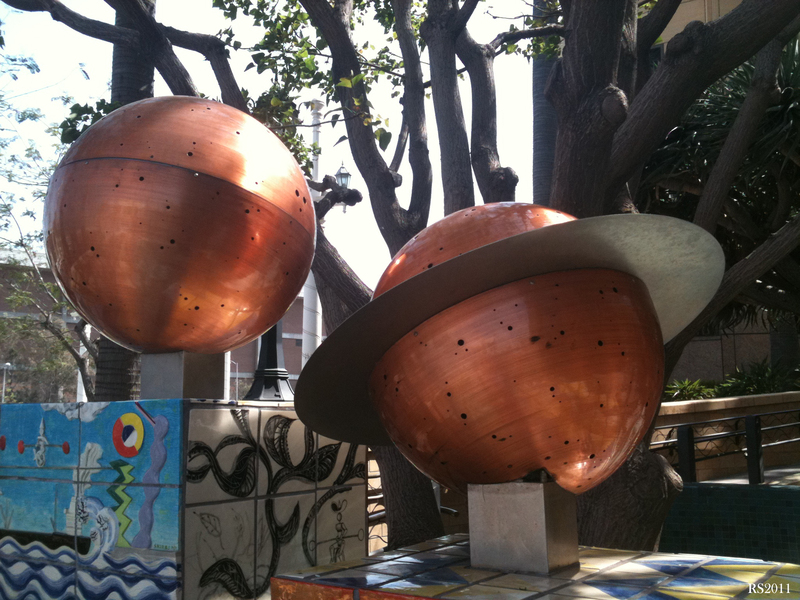 It was filed under Architectural, Artwork, Urban and was tagged with balls, California, Los Angeles, metal, orb, planetary, postaday2011, Union Station. This is really a cool picture, great composition and wonderful colors! Very Sci-Fi. Lots of fun.